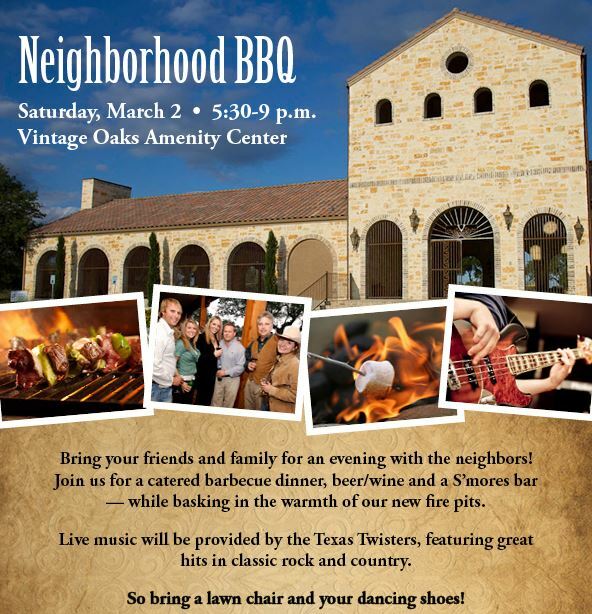 Don't Forget the Vintage Oaks Community BBQ This Weekend! We are proud to be nominated for Vintage Oaks at the Vineyard in the Austin Business Journal's Residential Real Estate Awards - Builder & Master Planned Community category. Vintage Oaks at the Vineyard is a master-planned acreage community with 1-3 acre lots on which property owners can build custom homes. The development has a wide variety of premiere amenities including a 1,500-square-foot clubhouse with a pavilion and catering kitchen, lap and lounge pool, ideal for relaxation or exercise and a Lazy River for families to enjoy time with the kids. The community has plans for an array of sport park facilities, including two tennis courts and a soccer field. 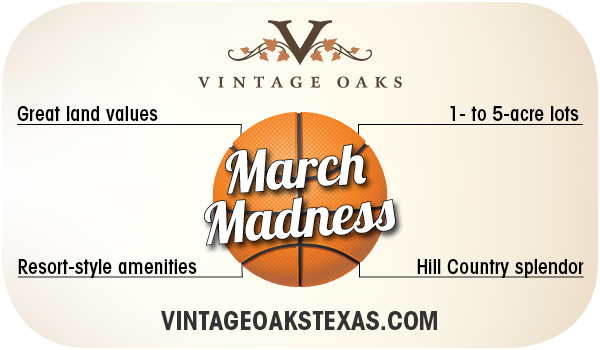 Vintage Oaks is located on the Texas Hill Country Wine Trail, with more than 24 vineyards situated nearby. It has more amenities than any project of its size in the entire hill country.